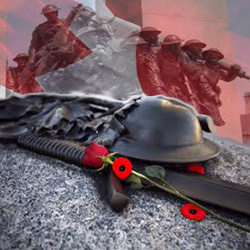 Purchase a cenotaph brick and be part of history as we honor our soldiers. Water and sewer is billed to the residents every three months. It is a flat rate of $250.00 per quarter (January, April, July, October). Interest will be added to your account unless the amount is paid in full before the end of the billing month. Please note that a reconnection fee of $100.00 will apply when services are disconnected for delinquent accounts. The town of Morse has waste collection once a week. Waste is picked up every Monday morning except on statutory holidays, if a Monday is on a statutory holiday waste will be collected the following day (Tuesday). The cost of Waste Collection is $20.00 per quarter. Waste means household garbage only, they should be put in garbage bags weighing no more than 20lb as per the standards set by WCB. The town has hired Emterra Envirnmental to pick up recycling once a month. Recycling is picked up the 1st Tuesday of each month. The cost of recycling pick up is $10.00/month and added to the quarterly utility bills. The Morse Landfill is for residential use only. It is open on Saturdays during the winter months (October-April) weather permitting. During the spring/summer (April-September) the landfill is open 3 days a week. Tuesday, Thursday & Saturday 1pm - 5pm. If access is needed outside of these hours, there is a fee of $25.00 and arrangements and payment must be made at the town office.